Noni Young’s business is blooming with help from the Small Business Mentoring Service. 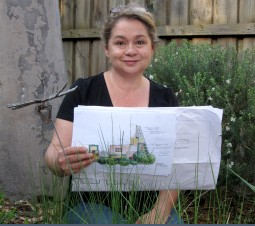 After 20 years working in pharmaceutical sales and marketing, Noni left to study horticulture and start her own garden design and maintenance business. She started Noni Young Garden Design, which makes good use of the Master of Urban Horticulture she gained in 2010. The business provides professional garden design, horticultural advice, personal training in the garden and garden maintenance for residential clients. “I am passionate about gardens and good design,” says Noni, who works with residential clients in the Melbourne metropolitan area and the Mornington Peninsula. “My philosophy is to provide the client with a design that is sensitive to place, respecting of the environment and suited to the climate. I apply sustainable design principles and design with native and indigenous plants where possible." Noni discovered SBMS through a City of Whitehorse Women in Business program. Six mentoring sessions were offered as part of the program, which was perfect timing for this new business. Initially, Noni felt she needed a mentor to guide her through the vast amount of course work and help her focus on what was relevant. It could also help her develop her business plan. Noni was matched with Elizabeth Raut, who spent 10 years as the Victorian manager of the Australian Institute of Architects, where she worked on all aspects of running an organisation including financial management. Before this she worked in the health sector in a range of business-related roles. Noni had six sessions with Elizabeth under the Women in Business program and mentoring is continuing. Elizabeth immediately sensed that Noni was underquoting and suggested she add a percentage to her price to better reflect the professional service provided and turn her business into a profitable enterprise. “I encouraged Noni to set clear deliverables for all projects including/especially for friends, as well as realistic timelines and expectations and an agreed budget,” Elizabeth says. Review the Action Plan in her Business Plan quarterly and acknowledge completed actions so she can feel good about her business achievements. Elizabeth says that when they met, Noni’s passion was design and she was focused on developing her design analysis, knowledge and skill. Noni is now getting closer to design projects being the major component of her business, instead of maintenance work. “She created a database of clients from the job files since day one of the business and is now sorting and analysing the data and has identified the various avenues from which projects have come, as well as the potential areas to grow the business,” Elizabeth says. Since seeing Elizabeth, sales have increased and operating profits rose in the following financial year. Noni is extremely pleased with the results so far and with Elizabeth’s professionalism. “Elizabeth has been extremely easy to work with and very generous with her time,” she says. “I have found her to be firm but encouraging. If she hadn’t seen Elizabeth, Noni believes she would not have had a clear focus on how to build and grow her business.